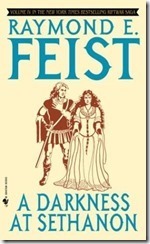 A Darkness at Sethanon concludes Raymond Feist's Riftwar Saga - a trilogy that became a tetralogy when Feist decided to rewrite volume 1, splitting it into 2 books. An invasion by the dark sorcerer Murmandamus threatens the world of Midkemia and ultimately all other worlds in the Riftwar universe. Murmandamus is determined to capture the city of Sethanon and the powerful lifestone buried beneath it. Our heroes from the previous novels (Pug, Tomas, Arutha, and others) gather the knowledge, weapons, and allies they need to try to defeat Murmandamus. There are twists. Characters we thought dead are found alive, former foes become allies, and Murmandamus's motivation is not what it seems. This book is larger in scope than its predecessor as the characters travel across dimensions and even travel backwards in time to the beginning of their universe. The time travel sequence gives the characters and the reader insights into the history of the universe and its many sentient and magical races. Feist is better at action than at character development. Not that the characters are bad - it's just that he jumps them ahead abruptly, rather than letting us watch them mature and otherwise change. And this book has plenty of action, including several large battle scenes. I'm glad I stuck with this series, as it got better as it went along. The .NET framework provides the FtpWebRequest class to assist you in managing FTP commands. A common use of this class is to upload a file to an FTP site. To do this in C#, we create an FtpWebRequest object (the WebRequest object has a static factory method to do this) on the object, set our intended method, and specify the FTP site's login credentials, as shown below. A common mistake is to set only the site and folder name (and skip the filename) in the destinationPath. To send a file via FTP, we need to read the file from disk and convert it into a Stream. Finally, we retrieve the FTP response. Learn how to create a free library and Jupyter notebooks hosted in Azure. A T4 ("Text Template Transformation Toolkit") template is a text generation tool that mixes raw text and code to generate text as output. But sometimes, it is helpful to pass parameters from your C# code and use them in your template. Generate the output text with the T4 template object's TransformText() method. An example will help illustrate this. I have a T4 Runtime Text Template named "ParamTemplate1.tt" and I want to add 2 parameters: firstName and lastName (both strings) and use them in my template. Notice that we included the Namespace in the parameters' data types. Hello <#=firstName #> <#=lastName #>! This passes the values "David" and "Giard" to the firstName and lastName parameters, respectively. We can even pass in a custom data type, based on a type we create. Imagine I have created a Person class with a FirstName and a LastName properties (both strings) and I want to pass a parameter of this type into my T4 template named "ParamTemplate2.tt" and use that parameter inside the template. Notice the custom namespace in the Type. Hello <#=person.FirstName #> <#=person.LastName #>! My C# code is very similar to the first example. You can find this code in my GitHub repository at https://github.com/DavidGiard/Demo-T4-Parameters. 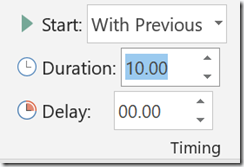 In this article, I showed how to pass parameters into a T4 Runtime Text Template. A Text Template Transformation Toolkit (or "T4") template is a text generation tool that mixes raw text and code to generate text as output. 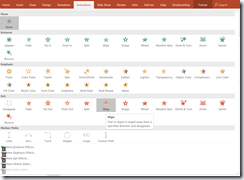 Visual Studio contains tools to assist with the creation and execution of T4 templates. To add a T4 template to your project, right-click on the project, and select Add | New Item from the context menu. In the "Add New Item" dialog, the T4 templates are listed under the General category; but you can find them quickly by typing "T4" in the "Search Installed Templates" textbox. There are two kinds of T4 templates: a Text Template and a Runtime Text Template. Each of these starts with a file with ".tt" extension, but is designed to generate at least one other file. The Text Template regenerates the final output file every time you save the ".tt" file. This is a quick way to generate simple files, but it lacks flexibility. The Runtime Text Template generates a VB or C# class that you can call from your code to generate the output file. 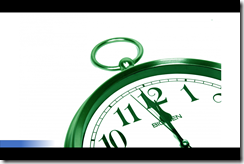 We will focus on the Runtime Text Template in this article. A Runtime Text Template consists of raw text (which will be exactly duplicated in the output file) and executable code, which the template will run. Any output of that code will be included in the output file. Code is delimited from the raw text by placing it between the <# and #> symbols. If you just want to output the results of an expression, you can surround that expression with the <#= and #> symbols. For example, to output the current date and time, include the following line in your template. // WriteLine is a utility function that outputs text. When you save a Runtime Text Template, Visual Studio generates code for a public .NET class with the same name as your tt file. You can instantiate this class as you would any other public class and call the TransformText() method to generate the output as a string. For example, if I created a Runtime Text Template named "myT4Template.tt", the following code would generate the output and save it to a variable named "outputText". T4 templates give you the flexibility to generate text and text files quickly and the flexibility to change the template without worrying about the associated data. MySQL is a popular relational database. Although the product is owned by Oracle, which offers several versions for purchase, it is an open source project and they offer a free "Community Edition. There are several ways to install and start running MySQL. You can download a copy from https://www.mysql.com/downloads/. The community edition offers install files for various platforms (an MSI file for Windows) that allows you install the database engine locally. My preferred option is to install a database on Azure and store my data in the cloud. Because Azure offers MySQL as a service, I don't need to create a Virtual Machine or install the database engine anywhere. To create a MySQL service is Azure, navigate to the Azure portal and select Create a Resource | Databases | Azure Database for MySQL; then complete the blade that displays. Whether using a cloud service or installing locally, you will be prompted to create an admin user and password. Remember these. Once you have access to MySQL, you can use the command line to create and manage databases. On a local machine, open a command prompt; in Azure, you can click the "Cloud Shell" button at the top of the Azure portal. where hostname is the name of the MySQL instance and username is the name of the admin user. When prompted, enter the appropriate password for the user. The following commands are usfule for working with databases. Now you can start using standard SQL commands to work with database objects and data in the current database. For the most part, MySQL follows ANSI SQL syntax. If you are familiar with another relational database, such as Microsoft SQL Server, working with MySQL will feel natural. 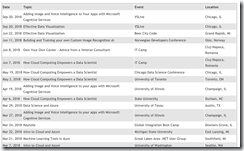 On May 19, I delivered a presentation titled "How Cloud Computing Empowers a Data Scientist" at the Chicago AI & Data Science Conference. I described ways that the cloud has accelerated the fields of data science, machine learning, and artificial intelligence; and I gave examples of Azure tools that facilitate development in these fields. Often, I need to restart an ASP.NET web site. There are many reasons but the most common reason (for me) is that I have updated a page and ASP.NET is displaying a cached version of that page, which does not reflect my changes. There are multiple ways to restart an ASP.NET site; but, I always found it easiest to copy any file into the site's "bin" folder. In fact, I typically keep an empty text file named "_a.txt" in my local Documents folder for just this purpose. It is a bit of a hassle to open my FTP client (I use Filezilla), just to copy 1 file; so I recently decided to automate this process. The Windows command prompt has an "FTP" command that that takes a "-s" argument with which you can provide a file containing FTP commands. So I created the following text file named "RestartBlog.ftp"
In my file, I replaced blahblahblah.ftp.azurewebsites.windows.net with the FTP Host Name of my site, myusername with the FTP User Name of my site, and mypassword with the password associated with that username. This opens a connection to my FTP site, logsin in and copies a local file named "_a.txt" to the site's bin folder. It's possible that your site's "bin" folder is in a different path, so you may need to change this. Next, it closes the connection and exits FTP mode. This creates a small text file named "_a.txt"; then calls my file with FTP commands. After executing the FTP commands, this batch deletes the text file it created. I added the "pause" at the end so that the command window would not immediately close and I could view the results and any errors that occurred. This is optional. While building these scripts, I found this FTP Comand reference very useful: http://www.nsftools.com/tips/MSFTP.htm. Now, I have a shortuct on my start menu that I can click whenver I want to quickly restart my ASP.NET web site. Building on Episode 2, I show you how to create, publish, and call a predictive web service from a trained model built with Azure ML Studio. Parsing information from a web page is not a trivial task. Fortunately, HTML has a defined structure and libraries exist to help us navigate that structure. One such library for C# is HTML Agility Pack or HAP. You can add this library to a project via NuGet. 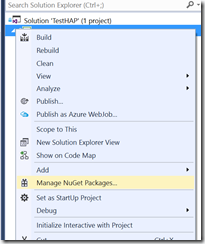 Simply right-click your project in the Visual Studio Solution Explorer, select "Manage NuGet Packages" (Fig. 1); then search for "HTML Agility Pack" and install the package (Fig. 2). Once the package is installed, you can load your document into an HtmlAgilityPack.HtmlDocument and begin working with it. There are 3 ways to load a web page into an HtmlDocument: from a file on disk; from a string of HTML, from a URL, and from whatever document is loaded in a browser. Below are examples of each (taken from the HAP web site). I am interested in this project because I have a web page that lists all my public presentations and I want to make this page data driven, so I won't have to update a text file every time I schedule a new presentation. To populate a database with this information, I could either type in every presentation or grab it from my web page and parse out the relevant information in an HTML table. 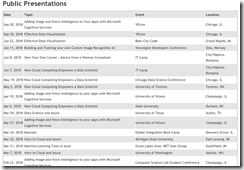 Since I have delivered nearly 500 presentations, re-typing each of these individually seemed like way too much work. and here is a partial listing of the source HTML for that page. The HtmlDocument has a DocumentNode property, which returns the root element of the HTML document as a node. Most of the time, I found myself working with nodes and collections of nodes. Each node has a SelectSingleNode and a SelectNodes method which returns a node and a collection of nodes, respectively. These take an XPATH argument, with which I was familiar from my days working with XML documents. The following code retrieves a nodelist of all the <tr> row nodes within the "talklist" table, shown in Listing 2. Finally, because each <tr> node contains 4 nodes of <td> cells, I can iterate through each node, find all the cells, and the innertext of each cell. For good measure, I stripped off any non-printing characters. Because the title row contains <th> cells, instead of <td> cells, I want to check for this before extracting information. The code for this is in Listing 5. Here is the full code listing for my console app that retrieves the text of each cell. You can download this solution from my GitHub repository. Although I don’t intend to use it for this, HAP also supports modifying the HTML you select with node methods like AppendChild(), InsertAfter(), and RemoveChild(). This tool will help me to retrieve and parse the hundreds of rows of data from my web page and insert them into a database. Years ago, I created a list of my public speaking. In order to make it more readable, I added a bit of jQuery to style alternating rows with a light gray color. I used jQuery because, at that time, CSS did not support the ability to apply a style to every other row in a table. I liked the results, but the code always struck me as awkward. Eventually, CSS3 provided this ability, but not every browser immediately supported this style. So I waited. And then, I forgot about it. It was slow, but it worked. Here is the table opening tag. I applied a style to it only to make it easy to find, in case there are other tables on the same page. Each row has no background-color styling, because I applied that later. Here is a sample row. I decided to replace the table’s class (“tiger-stripe”) with an id (“presentationlist”), since the class only exists to identify this table. Strictly speaking, this was not necessary, but it felt cleaner this way. Here is the new table tag. This is an example of using declarative programming, instead of imperative programming to accomplish a task. In other words, the new system tells the browser the results I want without explicitly specifying how I want it done. Most of the Norway I saw is defined by towering cliffs, the result of glaciers gouging their way through the country thousands of years ago. Many of these filled with water to became the famous fjords of Norway. This was the Norway I experienced when I made my first trip here this week. 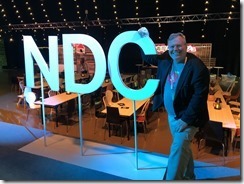 I was invited to speak at the The Norwegian Developer Conference (“NDC”), so I flew to Oslo after speaking at IT Camp in Romania. 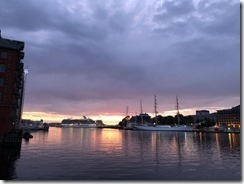 I arrived in Oslo on a rainy Sunday night after a week in Romania. The first 2 days in Oslo, I worked on a Machine Learning project for Bane Nor - the Norwegian national railway. This was a great experience for me, as Microsoft flew in engineers from all over the world and I had an experience to learn about the train industry from the customer and about data science from several experts. NDC began on Wednesday, so I arrived bright and early to experience it all. The conference was amazing. Hundreds of speakers from all over the world come to Oslo each year for some high-quality sessions. I knew some of the speakers and I had the opportunity to meet many more. Wednesday evening, the conference organizers treated all the speakers to a boat ride around the islands near Oslo, which was a great chance to meet new people. My presentation - Building and Training your own Custom Image Recognition AI - was the last one of the day. I was happy to get it over with on Day 1, but I spent much of Wednesday preparing for it. In the end, it went very well. The bright stage lights prevented me from seeing the audience, but I received several good questions afterward, so I think the audience enjoyed it as much as I did. The day after the conference, I booked a trip to Bergen. Oslo is near the eastern border of Norway and Bergen is on the west coast, so this all-day trip took me across the entire country. It consisted of 3 trains, a bus, and a boat. 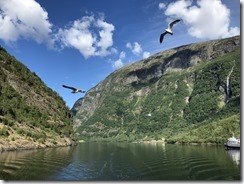 The boat ride was the most impressive as we traveled through the fjords of central Norway. The trip was designed to be more scenic than efficient and it took us from Oslo to Myrdal to Flåm to Gudvangen to Voss to Bergen. The fjord boat cruise took me to the northernmost point I have ever been, edging out my trip to Upsala, Sweden 3 years ago. I only had one day in Bergen and I was exhausted from 2 weeks on the road. But I did a lot of walking around the city, and visited 2 art museums, and drank some local beers, and ate reindeer stew and whale steak, and sat by the harbor to watch the sun set at midnight. Scandinavian daylight last for over 20 hours this time of year, making it very difficult for me to pace myself. I missed Father's Day in America (most European countries celebrate in March), but I will make time with my boys in the next few weeks. In a few hours, I fly home, tired but content from 2 weeks abroad traveling thousands of miles. I feel like I need to return to Norway and see all the places I missed. Hopefully, NDC will make that happen next year. There exists a competition in which a speaker must deliver a presentation in front of a slide deck that advances automatically every few seconds. The biggest challenge is knowing when the slide will change. Because most of us are not capable of simultaneously counting time and speaking, these talks often feature either awkward pauses waiting for the next slide or a rush to finish talking about a slide that disappeared a few seconds ago. In PowerPoint, create your slides as you like each slide and set them to advance automatically. Fig. 1 shows an example of such a slide. Select one of your slides and insert a short wide rectangle shape at the bottom. From the Insert ribbon, select Shapes and click the rectangle shape, as shown in Fig. 1; then, drag your mouse along the bottom of the slide to draw the rectangle, as shown in Fig. 2. Make the rectangle exactly as wide as the slide. Select the rectangle shape you just added. From the Animations ribbon, expand the list of animations and select "Wipe" from the "Exit" section, as shown in Fig. 4. By default, the "Wipe" animation will wipe the shape from the bottom. You want to wipe it from the right. Select the shape and, from the Animations ribbon, select Effect Options | From Right, as shown in Fig. 5. These are shown in Fig. 6. Press SHIFT+F5 to run this slide with the transition. You should see the rectangle slowly disappear from the right and completely disappear as the slide transitions to the next slide. Figures 7a, 7b, and 7c illustrate this. When you are satisfied that the animation is working properly, copy / paste this shape to your other slides. The animations will copy along with the shape. 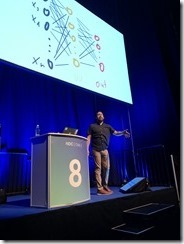 Azure Machine Learning Studio is a graphical designer that allows you to quickly build Machine Learning solutions without writing a lot of code. Achievement unlocked: I played Dungeons and Dragons last night for the first time in my life. And I did it in Transylvania! 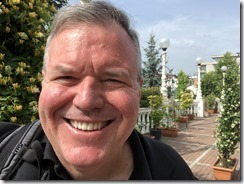 I am writing this while sitting in the Cluj-Napoca airport, waiting for my flight to Bucharest and my connection to Oslo this evening. This is the fifth consecutive year I have visited Romania to attend IT Camp. I enjoy it more each time I come - the conference, the people, and the country. IT camp has become like a family reunion for me. I look forward to seeing old friends from Romania and from Europe and America. Most of them I only get to see once a year, so it is a real treat for me to come here. And, as always, the Hotel Grand Italia spoils me with their excellent service. The conference continues to grow. Attendance was 500-600 this year (about 10% more than last year) and the speaker list grew to over 40. Session times were shortened to 45 minutes this year in order to accommodate the larger number of sessions. I delivered 2 presentations: "Own Your Own Career – Advice from a Veteran Consultant" and "How Cloud Computing Empowers a Data Scientist". I had a packed room for the first session, with many people standing in the back. A number of people approached me during the conference to ask more questions about my topics and to tell me they enjoyed my talks, which is always a treat. 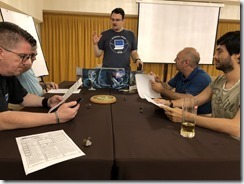 In between sessions, I met new people, re-connected with old friends, recorded 4 interviews, learned a few things, and Tudy taught me how to play Dungeons and Dragons, even though I was so tired I nearly fell asleep an hour into the game. Some inclement weather and a need to prepare my presentations kept me close to the hotel during the conference; but IT Camp always includes a field trip the day after the conference. This year, they took us to Sighișoara, a small city in central Romania most famous as the alleged birthplace of Vlad the Impaler, the inspiration for Count Dracula. I am grateful to Mihai and Diana and Tudor and Noemi and the many volunteers who work hard to make IT Camp a success and to make me feel welcome. I got a lot out of this trip. And how many people can say their first game of Dungeons and Dragons took place in Transylvania? Silverthorn by Raymond Feist continues the Riftwar Saga, begun in Magician: Apprentice and Magician: Master. The interplanetary war has ended, the rift between the world has closed, and Lyam has been named king. But evil forces still lurk on Midkemia and an assassination attempt on Anita, the betrothed of Lyam's brother Arutha leaves her dying from a poison-dipped crossbow bolt. Most of this book follows Arutha and his companions in their quest to find the rare silverthorn plant, which promises to provide an antidote for the poison that is slowly killing Anita. Pug, the title character of the first two novels is relegated to a minor role until the last few chapters, when he returns to Kelewan to seek a way to battle an evil magician hoping to take over and destroy Midkemia. The journey is perilous because Pug is an outlaw in Kelewan, thanks to his disruption of the High Magicians and a powerful warlord. 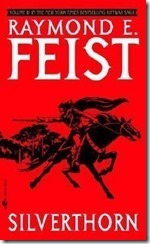 Feist does a good job of keeping the action flowing and the reader engaged. This book's story is more straightforward than that of its 2-volume predecessor. It does not suffer from the weakness of the earlier volumes - having characters summarize certain events, rather than letting the reader experience them directly. We follow the characters as the action unfolds. Silverthorn stands well on its own; but is best enjoyed as part of the Riftwar Saga. I have already begun the next book in the series. A warning: You are much more likely to enjoy Raymond Feist's "Magician: Master", if you first read his novel "Magician: Apprentice". 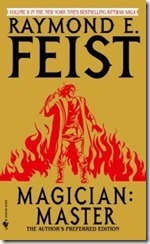 This story was originally published as a single volume, titled simply "Magician"; but after the success of this novel, Feist convinced his publisher to allow him to expand the story into 2 books and release those separately. As a result, neither book stands well on its own, but together they form a solid story. "Magician: Master" continues the story of Pug, who was captured by the Tsurani of Kelewan during the Riftwar and sold into slavery before rising to power via his magical abilities. He ultimately returns to his home world of Midkemia in attempt to gain a truce; but he is confounded by evil forces and by a senile king. This book and its predecessor hold up well as a high fantasy novel. Numerous characters are developed and cross paths through multiple subplots. The greatest weakness of the story is Feist's tendency to skip significant events, then relay them later in retrospect. A character dies, but we don't hear of it until his girlfriend relays the news; Pug transforms into a master magician, but we have very little insight into how this happens; he goes away and somehow is more powerful than his teachers when he returns. Showing the reader these actions would almost certainly have more impact than telling us about their results. Despite its weaknesses, I enjoyed the 2-volume story and I have already begun reading the next book in the series. 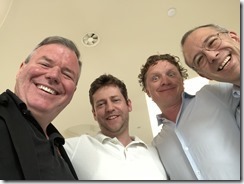 What is cloud computing, why is it important, and how does Microsoft Azure fit in? I have twice begun a screencast web series; but each time it fizzled as I ran out of time, motivation, and/or subject matter. This time, I'm optimistic and I have a lot to say. So, starting tomorrow, I am re-booting "GCast", a technical screencast in which I will walk through a technical topic in a short video. My new computer and a fresh install of Camtasia Studio and Adobe Premiere Elements will help. I’ve recorded a few episodes and I’ll be releasing them here once a week, for now. The first 2 are about 20 minutes long, but I plan to keep most videos 5-10 minutes. Tomorrow's episode is A Lap Around Microsoft Azure and talks about the advantages of cloud computing in general and Azure in particular. I hope you like it an I hope you keep watching. 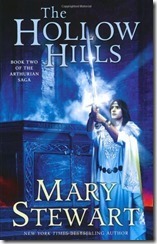 "he Hollow Hills continues Mary Stewart's Arthurian Saga, begun with Merlin's early years in The Crystal Cave. In this second volume, King Uther, hoping to avoid the shame of conceiving Arthur via Ygraine on the night her husband was killed, commits the infant to the care of Merlin. Merlin keeps the boy safe until it is time for him to become king. Merlin places the future monarch in the care of trusted friends; then, travels across Europe, where he learns of the sword of King Maximus - a sword prophesied to belong to the rightful ruler of Britain. Merlin then begins his quest to find this sword and get it to Arthur. In some ways, The Hollow Hills is even stronger than The Crystal Cave. It continues its focus on Merlin, but it is Merlin the man, cognizant of his destiny and responsibility that we see, and his story is compelling. I love the very-human Merlin that Stewart creates. His only "magic" is his advanced education and his ability to (sometimes) see the future and the distant present; but that is enough to grow his legend as a powerful wizard. I love the way Stewart brings to life the legend in a very real sense. Merlin seeks and discovers the legendary sword of a long dead king and leaves it where Arthur can find it, cementing the boy's claim to the crown of his father. The story follows Merlin from Arthur's birth to his ascension to the throne after Uther's death. Because Arthur's story is so well known, there are few surprises; but Stewart's prose and her gift of building characters makes this an enjoyable read. Today I am grateful to get my photos and videos transferred to and organized on my new computer. Today I am grateful for a hot bath last night. Today I am grateful for Taco Tuesday. Today I am grateful for a walk around Irving Park last night. Today I am grateful to participate in a successful Imagine Cup Finals yesterday. Today I a m grateful to make it safely to Vancouver after a full day of travel yesterday. Today I am grateful to spend time this week with my boys while Nick was in town. Today I am grateful to watch the Cubs-Indians game at Wrigley Field last night. Today I am grateful for a long walk along the river in Chinatown last night. Today I am grateful for my first Personal Training session in months. Today I am grateful to watch a series of storms yesterday through a large window from the shelter of my living room. Today I am grateful to celebrate Mother's Day with someone else's mother. Today I am grateful to see Freddy Cole at the Jazz Showcase last night. Today I am grateful to attend and present at my first Toastmasters meeting in months. Today I am grateful to finally catch up on my sleep. Today I am grateful for all these free drinks and food that Starbucks now owes me. David Giard updated his status. Today I am grateful to Kim for a ride to San Rafael yesterday. 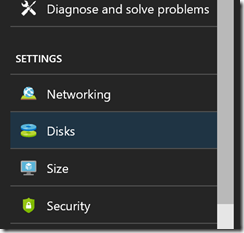 After creating an Azure Virtual Machine (VM), you may wish to add one or more disks. Maybe you want to increase your VM's storage; capacity or maybe you want to separate some data from the operating system disk. Either way, open your Virtual Machine properties in the Azure Portal and select "Disks", as shown in Fig. 1. The Disks blade displays, as shown in Fig. 2. Under the "Data Disks" section, click the "Name" dropdown of the first empty line; and select "Create Disk", as shown in Fig. 3. The "Create Managed Disk" blade displays (Fig. 4). Provide a disk name, resource group, region, type, and size. I generally prefer to create a disk in the same resource group and region as the VM. You can create a new empty disk, or one based on an existing snapshot. Click the "Create" button to begin creating the disk, which will take a few minutes. When finished, you should see your new disk listed in the VMs' Disks blade, as shown in Fig. 5. Repeat this process to add any more disks you like. When you connect to the VM (via Remote Desktop for a Windows VM and via SSH for a Linux VM), you will see the extra disk and you will be able to read to and write from this disk.